McHenry County Workforce Network has a variety of programs and services for employers and job seekers seeking assistance in meeting the challenges of today's job market. We are an affiliate of Illinois WorkNet, which is a consolidated effort to provide a one-stop system for employment related services in McHenry County and part of a nation-wide, grant-funded system. 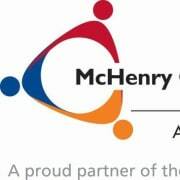 Would you recommend McHenry County Workforce Network?